These are the steps for when a client needs to run a sale to ensure funds are available before fulfilling a Sales Order. This transaction could be a pre-authorization in some instances. 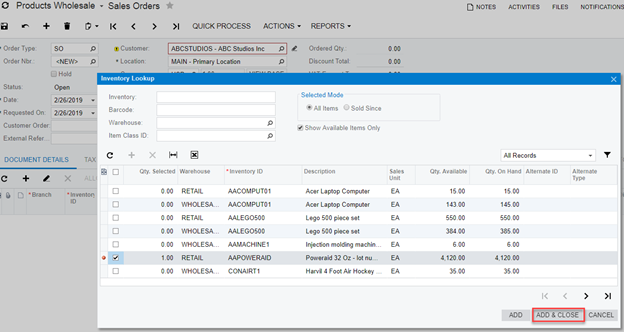 On the Sales Order screen, select the customer. Click into the Quantity section and enter the quantity. Select the Payment Settings tab. From the Card/Account dropdown, choose a stored card or select “New Card” and enter card details for the transaction. 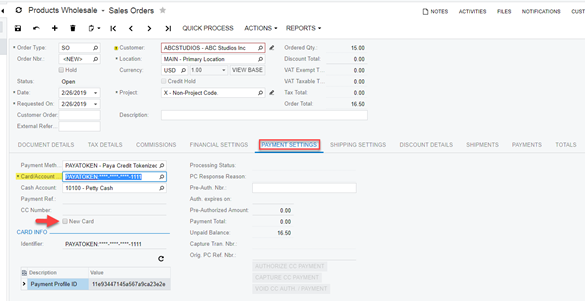 Both options to Authorize CC Payment and Capture CC Payment are available. Click on the Authorize CC Payment button. 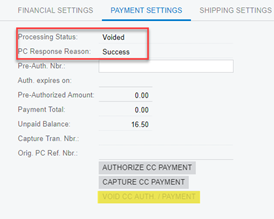 Once Authorize CC Payment is complete, the Processing Status, PC Response Reason, and Pre-Auth number are generated. The transaction can be verified via the Paya Connect Transaction Report. Click on Capture CC Payment button. 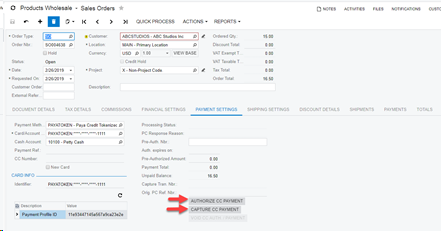 Once Capture CC Payment is complete, the Processing Status is changed to Captured, and the PC Response and Capture Tran number are generated. Click on the Void CC Auth/payment button. 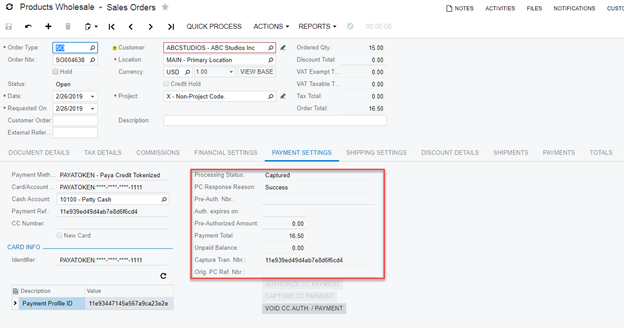 After successfully voiding the payment, the Processing Status will reflect Voided. If you have questions or require additional information, please contact us, and we will be in touch with you shortly.